Ingredients: Nothing mentioned anywhere on the outer carton, bottle or any e-commerce site. 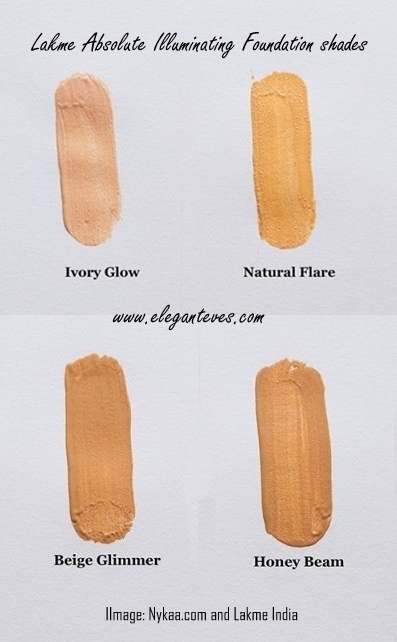 · Beige Glimmer: A salmon toned warm beige best suited to medium-tanned skin tones. 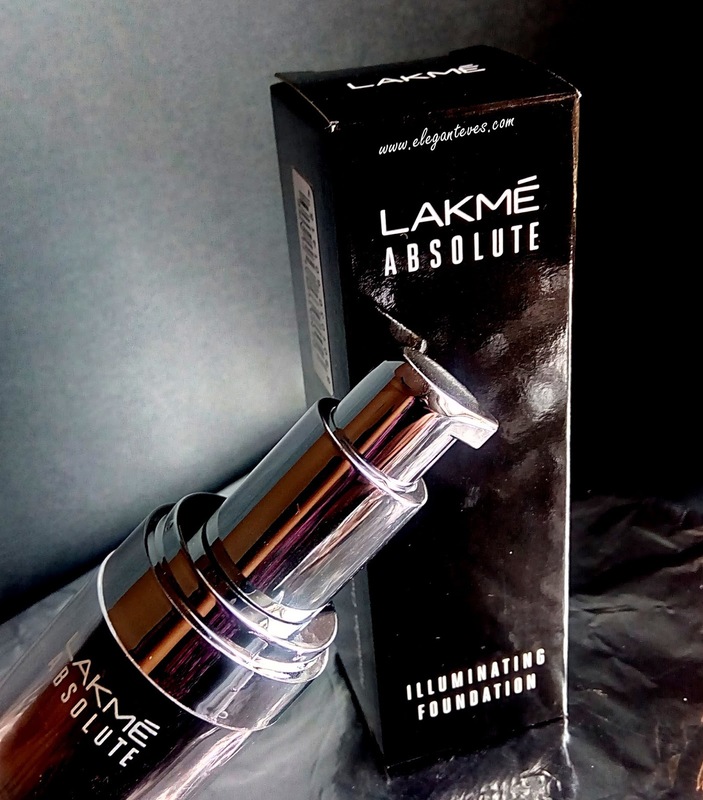 To my utter dismay, Lakme again has skipped considering deeper-bronzey skin tones L So this range does not have anything for deeper skinned beauties. 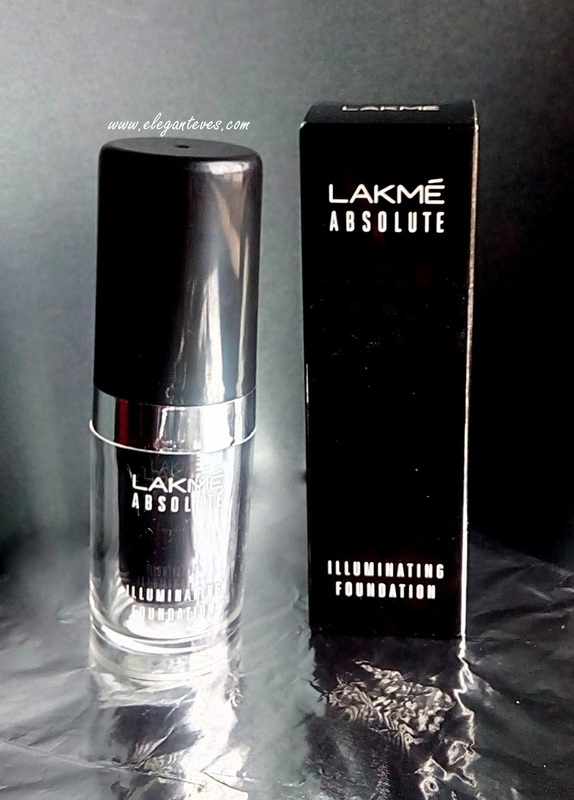 Packaging: Like all Lakme Absolute range products, this foundation also comes in a glossy black packaging. The outer carton is glossy black with white lettering which looks very classy! 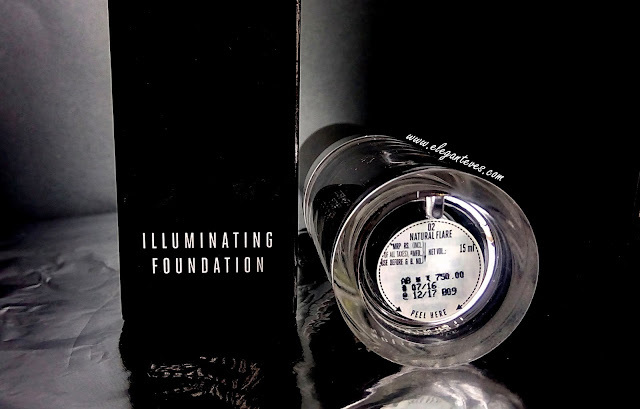 The foundation itself is in a clear plastic body which looks like glass (I am unsure if it is glass or not because it is unbelievably lightweight!) The foundation is housed in another thinner bullet-like cylindrical black vial inside the clear plastic body! 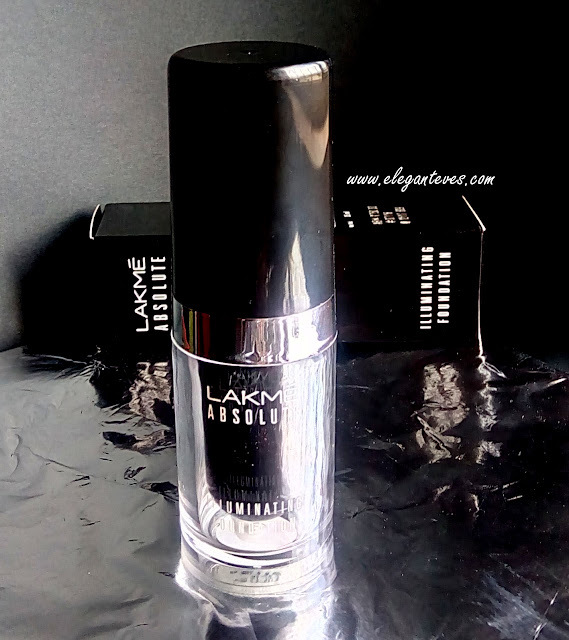 Looks chic J The best part about the packaging is that the bottle come with a pump :D Yay! 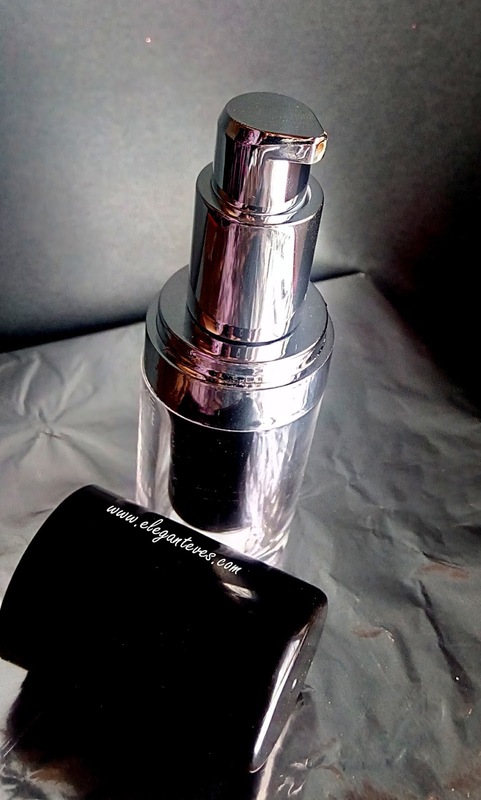 The pump dispenses just the right amount of product and I need about two pumps to cover my whole face and neck. Have a look at the other shades as well. The texture is a cross between a liquid and a gel. 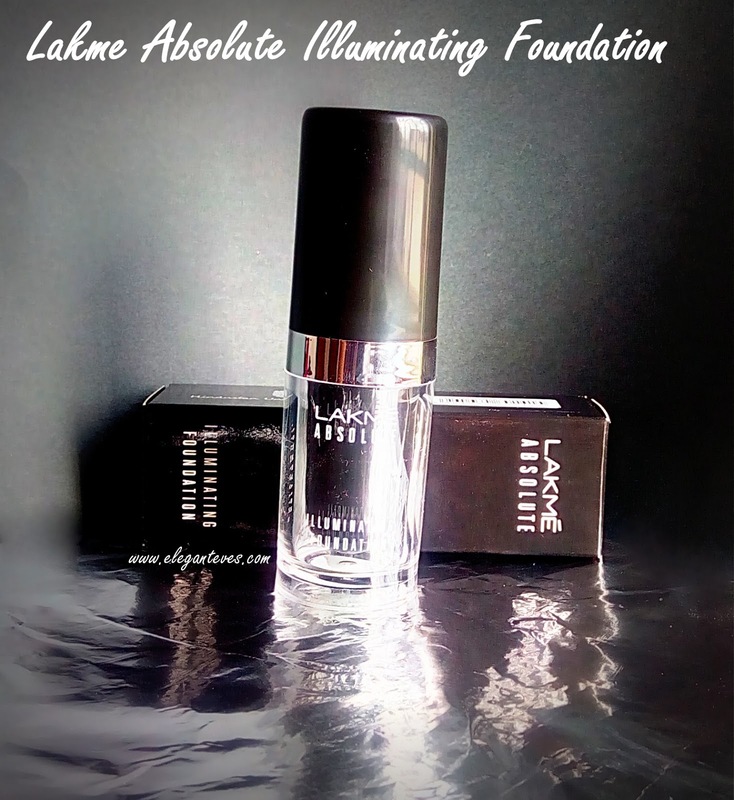 When dispensed, it feels runny and when spread it blends easily like a gel. There is absolutely no patchiness or heaviness in it. As for the “illuminating part”, the foundation has tiniest golden shimmer in it which are so fine that the swatch couldn’t pick up (Thank goodness for that!) I believe these nano-shimmers give that much needed glow to skin while the pigmented foundation evens out the skin. The fragrance though can be bit bothersome for people with sensitive noses: It is a very strong citrusy smell! Since there is no ingredient list anywhere, I have no clue what causes that smell. The smell subsides though once application is over. 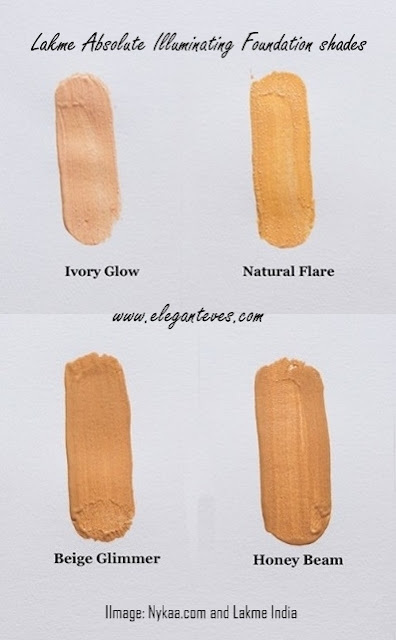 Regarding pigmentation and coverage, I don’t think it is wise to layer up too much on any “illuminating” product and the sheer to medium coverage will not hide very deep dark circles or blemishes. 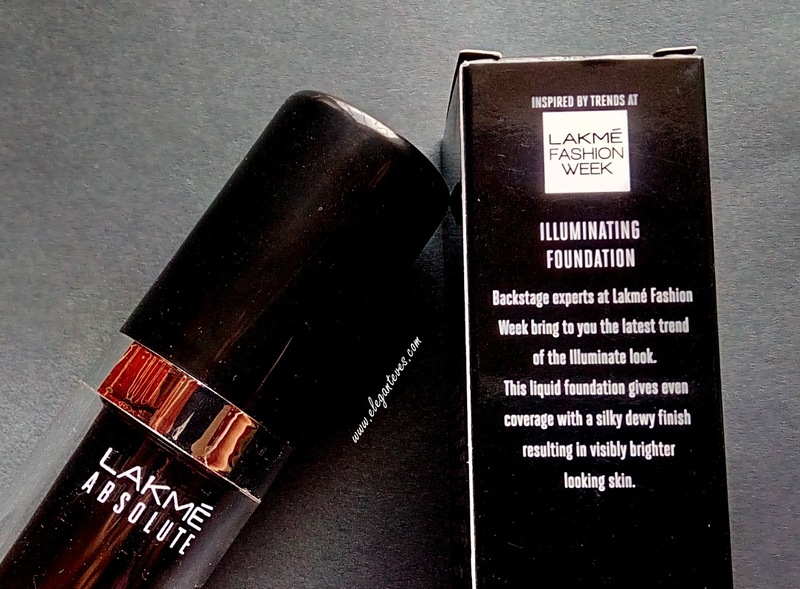 I felt this foundation is best used when your skin is behaving properly with only slight discolorations or dark circles which a corrector or concealer can cover. 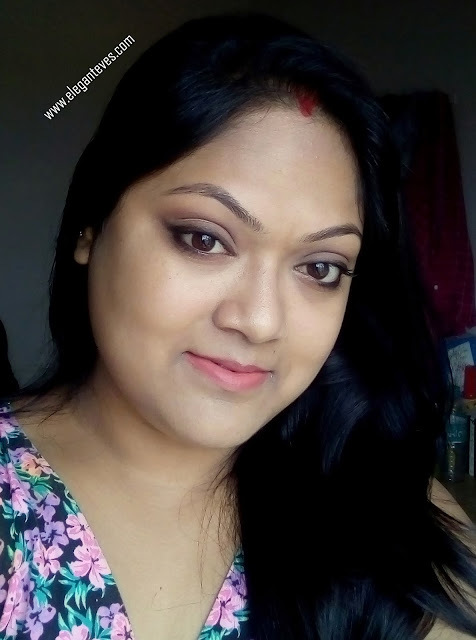 I would also be perfect as a evening makeup when you need your skin to emit a glow without using too many obvious highlighters. 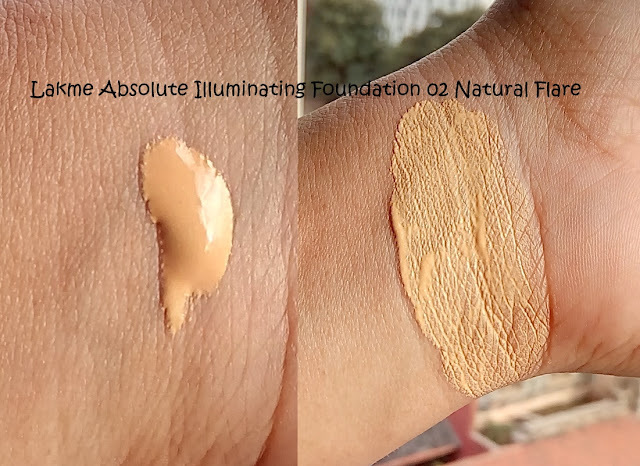 This foundation actually reminded me of MAC strobe cream which is a cult favourite among makeup lovers all around the world to give that natural looking illumination to skin. 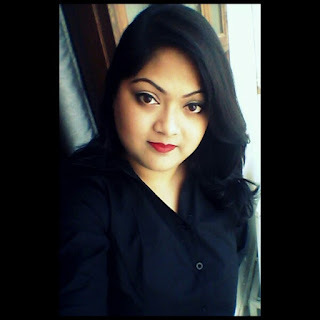 Finally this is how the shade Natural Flare looks on me. 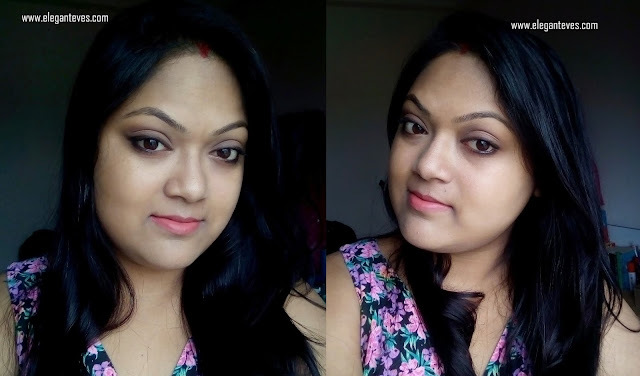 There is no product (powder, blush, highlighter, concealer, corrector) other than the foundation on my face except for eye and lip makeup. 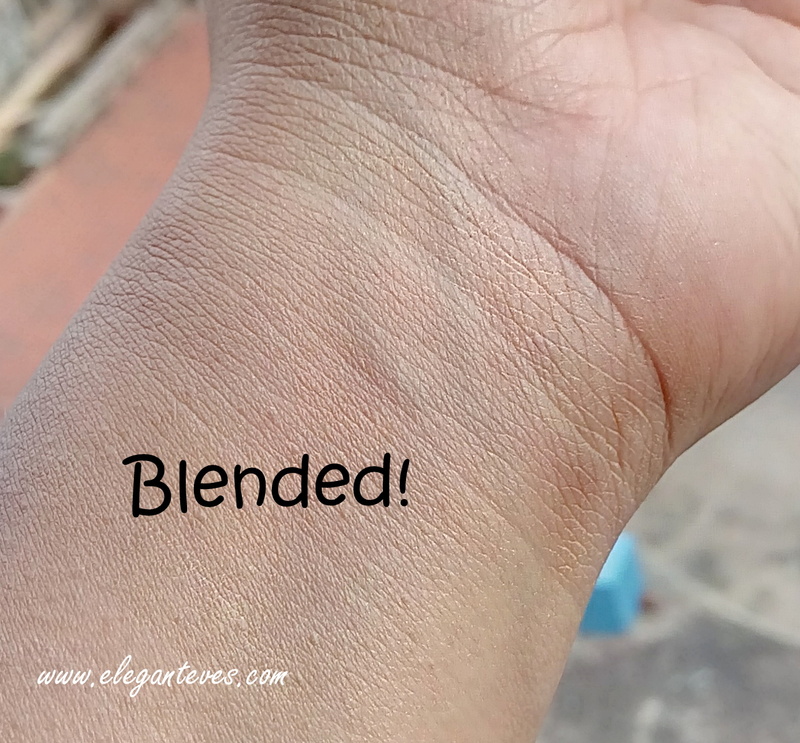 It feels extremely lightweight on skin and I love how it feels just like my own skin which is “brightened up”. Please note there is no highlighter added :D But yes, dark circles and discoloration will definitely show through, you will need concealers and correctors as mentioned earlier. 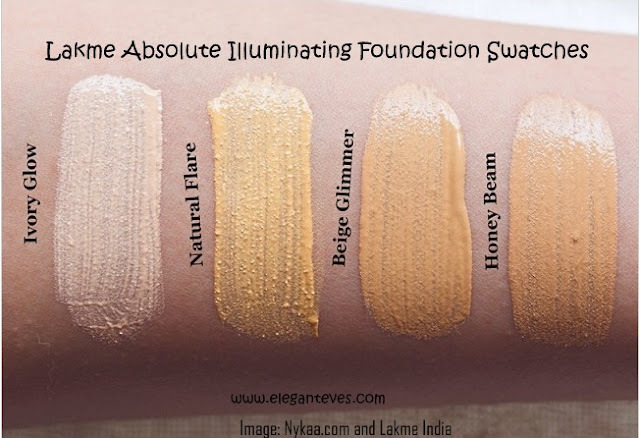 Disclaimer: The combined swatch images are taken from Nykaa with due written permission from Nykaa team and LakmeIndia. All the other images are blog’s own. We are very excited because we have an array of reviews lined up of interesting stuff :D Stay tuned!